When it comes to your BMW vehicle, you want to make sure that it’s running to its fullest potential for as long as possible, and the best way to achieve that is to only use genuine OEM BMW parts when performing maintenance or repairs on your vehicle. 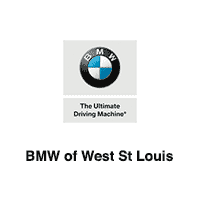 Here at BMW of St. Louis West, we can provide you with just that. Our parts center carries all of the genuine BMW parts, tools and equipment that you need to get your BMW vehicle performing and looking like new for the many long miles ahead. We know that your BMW vehicle is important to you, and you want to treat it accordingly. While other parts stores may sell you whatever they have and tell you it’s the same and buying parts online can leave you waiting weeks for arrival and always run the risk of buying counterfeit parts, we have everything you need and more to quickly, confidently, and correctly service your BMW vehicle today! Whether you’ve been working on cars your entire life or you’re new to the process, if you’re in need of genuine BMW parts in the greater St. Louis, MO area, we welcome you to come get them all right here in our parts center today!